Choosing and financing your next vehicle can be a stressful process, but it doesn’t have to be. Thanks to the rotating Honda specials at our dealership, you can find a Honda CR-V or Accord for a price that won’t over-stretch your budget. If you have any questions about our exclusive offers or new vehicle inventory, reach out to our team at your convenience. Lease a Brand New 2019 Honda Accord Sedan 1.5T LX Auto for $179/Month. $0 down, 36/month lease, 10,000 miles/year and $0.18 thereafter. $795 bank fee, destination, tax & tags due at inception. Expires 4/30/19. Please call dealership for complete details. New vehicle pricing includes all offers and incentives. Tax, Title and Tags not included in vehicle prices shown and must be paid by the purchaser. While great effort is made to ensure the accuracy of the information on this site, errors do occur so please verify information with a customer service rep. This is easily done by calling us at (855) 777-8227 or by visiting us at the dealership. 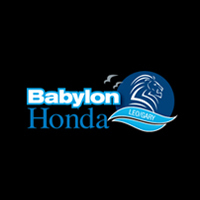 After you’ve taken a look at our new vehicle specials online, it’s time to visit Babylon Honda in West Babylon for a test drive. Our team is standing by, ready to walk you through the car-buying process and find the new Honda that’s perfect for you. Feel free to apply for financing in advance or estimate your monthly payments with our auto finance calculator. Be sure to check out our many Honda SUVs, trucks, and vans to help you make our decision!